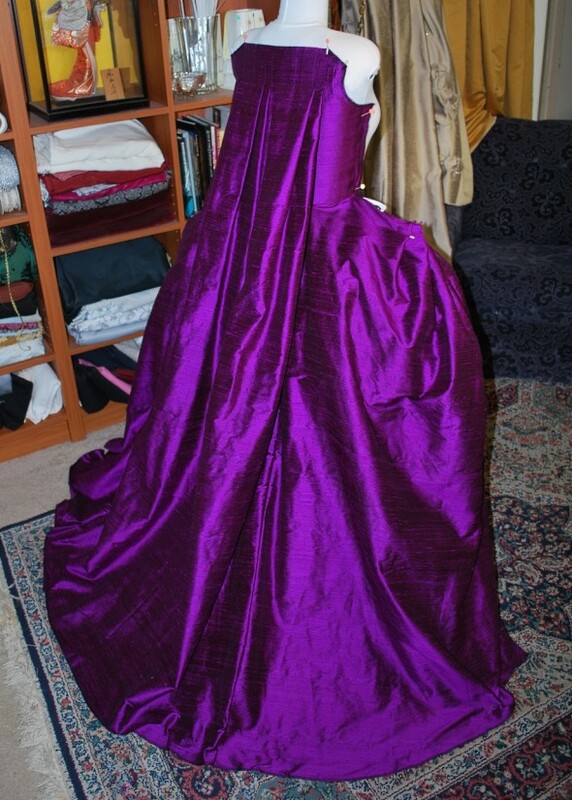 I am making the violet gown and this gown simultaneously, for the same lady, so you will see a lot of weird double posts in the future. Trying to get these done before school starts! The back is done! I love the saque backs, they are just so damn pretty! 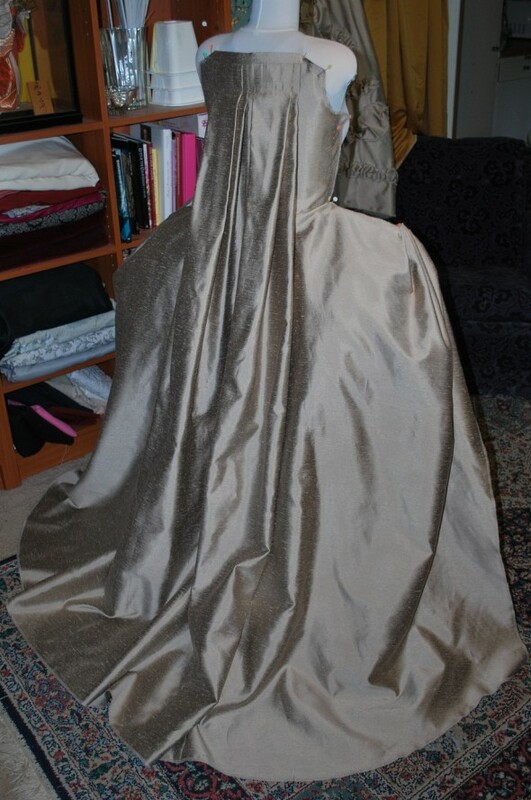 The fabric, though– yet another fabric that I can’t photograph well! Ah well.